This premium crystal malt is made from the finest winter barley and malted in a Wanderhaufen in the Witham malting. 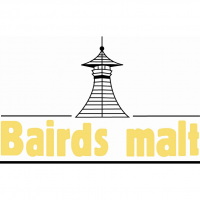 The highest quality medium colour crystal malt produced at Bairds Witham site using one of the best known English two-row winter barley varieties; grown by a limited number of dedicated farmers cultivating this traditional English brewing variety which has one of the longest crop cycles at 300 days. Packed full of very sweet honey, caramel flavours yet has a slightly bitter finish; providing enhanced colour, depth of flavour profile and aroma.